I read so many goo ideas on other classmates’ posts, such as the one on a bullying unit for grades 7 and 8 in Amy‘s, Kyla O.’s and Collette’s blogs, or the Human Body System (which I had originally planned to do) in Wendy‘s blog. So I decided to stick with what I really enjoyed doing and have always wanted to teach. So, without further ado, here is the course profile. Previous Post Teaching Blended and Online Learning: Is it for Me? Hey Sonja! You probably want to set some kind of public access for the profile? But I love the idea of using a high interest area as the basis for your course. Awesome! Super cool idea Sonja! I like how you chose to do a passion project. Are you planning to have people sign up for this course and have set dates or is it a join as you want and do as you want type of course? I am excited to see how you are going to teach crocheting online. 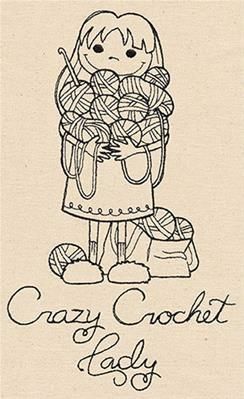 I always wanted to learn how to crochet, but could never figure out how to loop back (This was before YouTube was a thing!). I love your idea and how you can implement videos to demonstrate on Google Classroom. I find Google Classroom really simple and easy to use! You provide this for a range of learner types and abilities.I think the independence is great and that all learners can work at their own pace to gain new knowledge of crocheting!